The Service Desk at the heart of performance. Do you want to increase your revenues, win new markets and stand out from the crowd? What if one of the keys to success was (also) hiding in a department that is more strategic than it seems: the Service Desk? In our next white paper, we will take a look at this high value-added department. 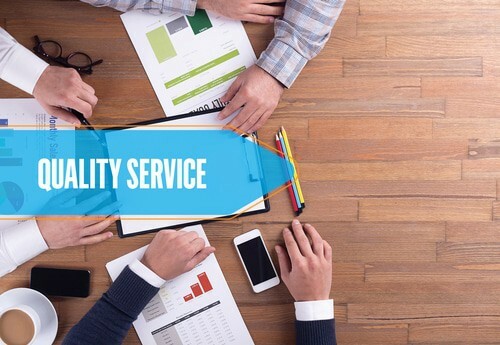 A good Service Desk is not just a platform for answering calls from customers with problems, it is a precious source of information about the company’s performance. It is also the department that collates a large amount of scattered information to make sense of it. Until recently, there were relatively few people (network and application) involved in the Information System so we could act in a reactive way to manage problems as quickly as possible. Today, the number of people has increased considerably and their diverse interactions are making performance management more complex. The Service Desk therefore requires numerous tools and cutting-edge processes. Increasing amounts of information for the Service Desk to handle! In today’s fast-paced world, communications are global, times are shorter and sources of information are more numerous (server monitoring services, application monitoring, server log reporting tool, wiki for knowledge management, deadline compliance and rating tools, number of tickets handled, etc.). The variety of sources and vast number of applications (BYOD mode, connected devices, web applications, mobile applications, internal business applications) call for a higher level of expertise. In addition to this increased complexity, companies which are reorganizing, restructuring, merging or carrying out a transition may find that their resources become temporarily disoriented and lose sight of their objectives. Information System analysis is a little-known way of implementing effective change management, keeping the focus on the company’s performance. An overall, simple and precise view requires monitoring services which are both technical and close to the user (the famous user experience). As the Service Desk is a channel for feedback from IS departments, in addition to providing support, it centralizes requests from users and identifies the most significant needs in order to respond. Trends (overloaded flows, more complaints about certain apps) observed by the Service Desk and fed back to the IS department must be backed up with figures. Reports enable investments to be made in the right place at the right time for increased customer satisfaction. The Service Desk can really ensure that the service provided to the customer is continuously improved. The Service Desk of the future is yours! Our society is undergoing major societal and technological changes which shape a constantly-moving market, requiring a high level of agility. The Service Desk has a strong connection with these changes but also with users’ needs. It plays a strategic role and must be helped to increase its accuracy and performance. Ideally, the Service Desk needs to transition from reactive to proactive mode to adapt to today’s society. It can make this transition thanks to the managed service in particular. Experts provide daily support to the Service Desk in its role with internal and external customers. A managed service based on performance measurement provides the services required for continuous improvement in a fully objective way. This fact-based view enables an overall strategic view to be drawn up. Find out how to increase your competitiveness and grow with peace of mind in our Service Desk white paper.